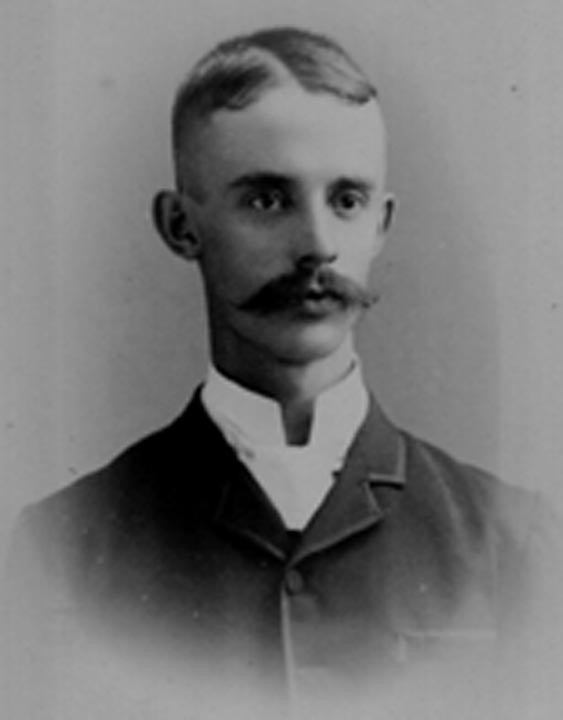 Frederick C., Olds, son of John F. and Elizabeth Tubbs Olds, was born at Bradford, July 5, 1848. He attended the public school and the Smethport Academy. Then for three years he was clerk in the general store of Judge Brownell. After this he started his own general store at Farmer's Valley, where he was also postmaster for fourteen years. In connection with this business he manufactured and sold lumber, and finally became owner of several sawmills. In 1899 he entered the chemical business at Crosby, Pennsylvania, being one of the organizers of the Heinemann Chemical Company; for four years he was secretary, treasurer and manager. He is still a stockholder and one of the directors. Wood alcohol is the principal product. He is also a director of the Crosby Gas Company, and of the Olean National Bank of Olean, Cattaraugus county, New York; he has financial interest also in other concerns. He is a member of Olean Lodge, No. 252, Free and Accepted Masons; Olean Chapter, No. 150, Royal Arch Masons; St. John's Commandery, No. 24, Knights Templar; also of Ismalia Temple, of Buffalo. In Scottish Rite Masonary he was attained the thirty-second degree. When he first came to Olean in 1901 he built a beautiful house on Winter Street, but he sold this and purchased an attractive house next to the public library on Union Street. He is a trustee of the First Methodist Church, and director and treasurer of the Young Men's Christian Association, in which he is greatly interested. He was president of the commission which had charge of erecting their new building. He married Miranda Arnold. Child, Ethel M., who never married. (I) Ezekiel Olds, the first member of this family of whom we have definite information , lived in Vermont. The original emigrant, his ancestor, came from England in the seventeenth century. Child, Ebenezer Canfield, referred to below. (II) Dr. Ebenezer Canfield Olds, son of Ezekiel Olds, was born in Vermont, and moved to Bradford, McKean county, Pennsylvania. He was a tanner and established a tan yard at Bradford. Later he studied medicine, and practiced this profession also. 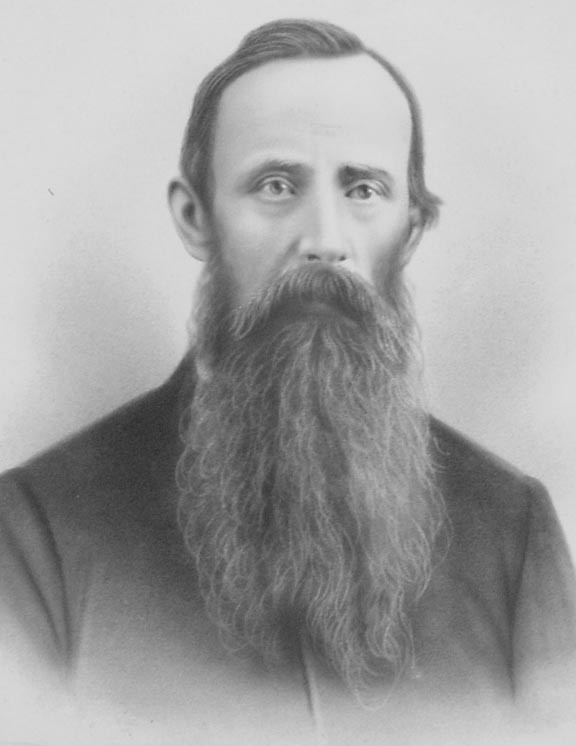 He was one of the trustees of the Regular Baptist church at its organization in 1852. His religion was genuine, and his life such as should flow from it, so that Dr. Olds was generally beloved. He was a Republican in politics. He married Jane DeGolier. Children: James, Robert, John E., referred to below; Sibyl, Warren, Marilla, Rachel. 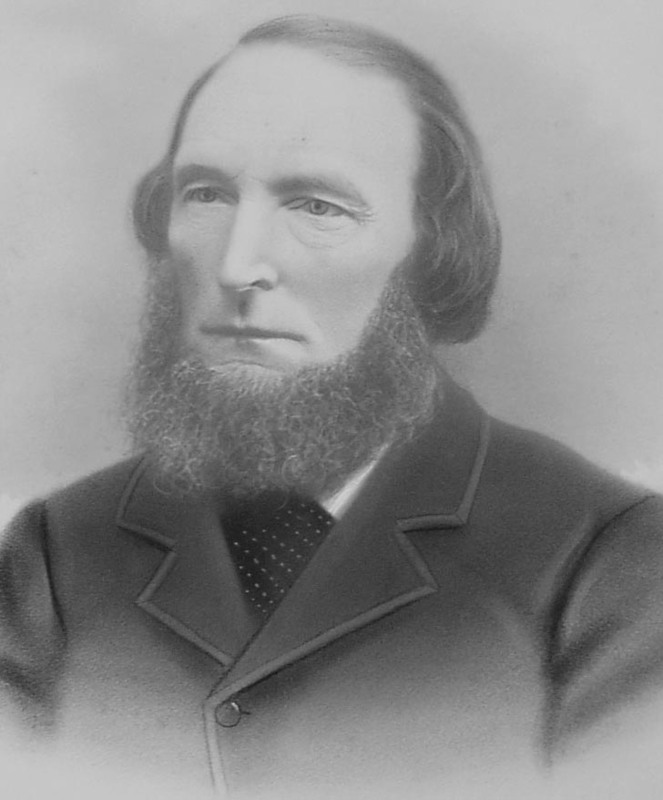 (III) John E., son of Dr. Ebenzer Canfield and Jane (De Golier) Olds, after attending the district school at Bradford, engaged in he tanning business and also had a small farm. In 1858 he moved from Bradford to Farmers Valley, McKean county, Pennsylvania. He was a Baptist in religion, and a Republican in politics. He married Elizabeth Tubbs. Children: 1. Frederick C., referred to below. 2. Francis married Orrin W. Godfrey; children: i. Myra, married Poy Amsden; ii. Mina, twin of Myra, married Clayton Searle, children: Francis Pobert, Marian; iii. Elizabeth. 3. John A., married Laura Sanderson; children: Frances, Harriet. 4. Abner, died at about the age or sixteen. 5. Charles, married Lydia Cooper; child, Myrtle. The Old family in America trace their ancestry back to William Old or Wold, of Staunton, England, who in 1522 married Elizabeth Ryton. The name was originally Wold, then Old, Olde, Ould, or Aulde, indifferently. The letter "s" was added to the surname after the immigration to America. The coat-of-arms of the family is: Gules, a lion statant, proper, on a mount, vert. The Old family in England were mostly yeoman farmers, living on their own estates. Following William Old (Wold), of Staunton, England, 1522, came Richard Old (Wold), of Sherborne, Dorset, England, who married Agnes Courtney, died in 1566; then Bartholomew Old (Wold), of Sherborne, 1594, who married Margaret Churchill, great-aunt of the Duke of Marlborough; then William Old (Ould) of Sherborne, born in 1592, who married Elizabeth Greensmith; then John Old (Olde), born in 1615, at Sherborne, died at Fillfield, England, 1682, married __________ Gatherest; he had five children, of whom Andrew Old or Ould emigrated to Ireland and founded the Irish branch of the family, who still spell their name "Ould." Robert Ould (Old), a younger son of John Old, was born in England in 1645, died January 16, 1728, in America. He was the immigrant ancestor of the family in this country, and was known as Dr. Robert Old. He came over from England in 1669, and settled at Windsor, Connecticut; he was, in 1670, one of the first five proprietors of Suffield, Connecticut. In the year that he came to America he married, at Windsor, his first wife, Susannah Hanford, or Hosford, who died January 6, 1688. Their children were: 1. Robert, born October 9, 1970. 2. Jonathan, born January 4, 1672, died December 19, 1696. 3. Mindwell, born February 4, 1674. 4. Hanford, born March 24, 1677. 5. William (first) born February 7, 1679, died August 24, 1680. 6. William (second) born August 28, 168?, died September 21, 1749. 7. Ebenezer, born December 22, 1681, died December 30, 1681. 8. Susannah, born October 21, 1683. On April 1, 1689, Robert Old married his second wife, Dorothy Granger, born February 17, 1665. Their children were: 1. John, born January 11, 1691. 2. Ebenezer, born January 22, 1693. 3. Josiah, born March 4, 1695, died December 28, 1712. 4. Jonathan, born June 8, 1698. 5. Nathan, born March 2, 1702. 6. Joseph, born February 3, 170?. From these children of Robert Old the present Olds families are descended, the form of the name changing in the later generations from Betsey Olds, and the father of Helen D. Olds, who married Fayette G. Leet. James Olds was born in 1811, died in 1886; in his early life he was a hotel keeper at Olds Corners, Conewango valley, Chautagua country, New York, becoming in later years a farmer, his last residence being on a farm near Ellington, New York. In politics he was a republican. He married Cynthia D. Jackson, born in 1811, died in 1902 at the age of ninety-one years. Their children: 1. Horace P., of Falconer. 2. 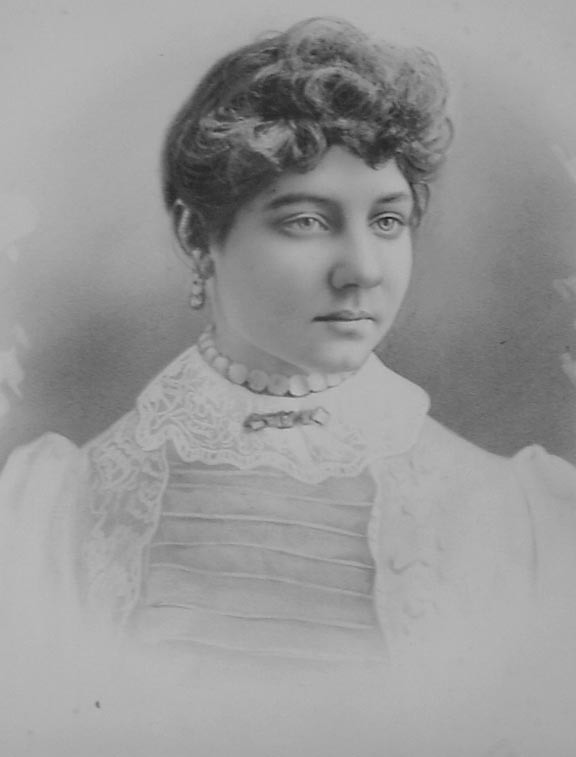 Sophia K., married Whitcom Mather. 3. Helen D., married Fayette G. Leet (see Leet VIII). 4. Betsey D., married Wales D. Shepardson. Charles Olds was also the son of John E. and Elizabeth Tubbs Olds. 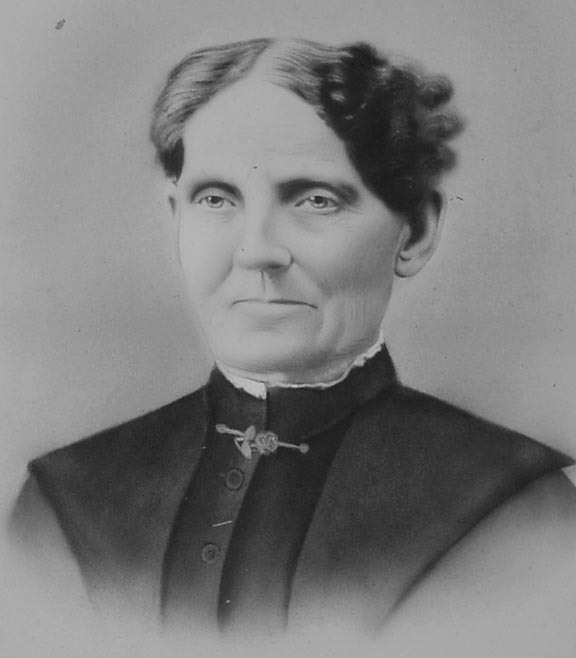 Featured next to him is his wife, Lydia Cooper Olds. They had one child, whom they named Myrtle. Lydia was a cousin to Hiram Wolcott Burlingame. Horace and Emily Cooper were the parents of Lydia Cooper. They were married on November 27, 1849. Horace was born January 22, 1825 in Java Village, Wyoming, NY, and died March 15, 1892. Emily was born October 22, 1829 and died February 12, 1910. Along with Lydia, they had 8 other children.